Door from the communal hallway. Large built in storage cupboard. Intercom and emergency call point. uPVC double glazed door to the front leading to the communal gardens. Feature fireplace housing an electric fire, electric heater and television point. uPVC double glazed window to the front. A range of fitted wall and base units with a rolled edged worktop over. Integrated hob, oven and extractor fan. Integrated fridge freezer. A single unit sink with mixer tap, splash tiling and tiled floor. uPVC double glazed window to the front, electric storage heater and emergency pull cord. A walk in wardrobe with ample hanging and shelving space. A three piece suite comprises low level WC, vanity wash hand basin and walk in shower. Tiled to compliment, spot lights, electric towel radiator and extractor fan. The gardens are beautifully maintained with a mixture of flat pathways, lawned areas and patio areas. 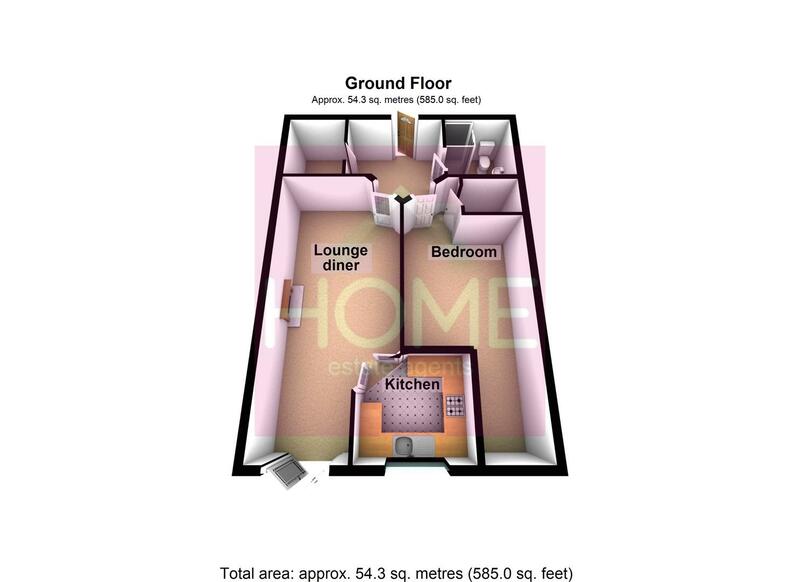 The apartment benefits from a car parking space which is located to the rear.